Bear Dance Garden Statue Outdoor Sculpture. Straight from a painting admired by bankers and stock brokers for decades, our lumbering bear statue has been sculpted to stand over 2� feet high. 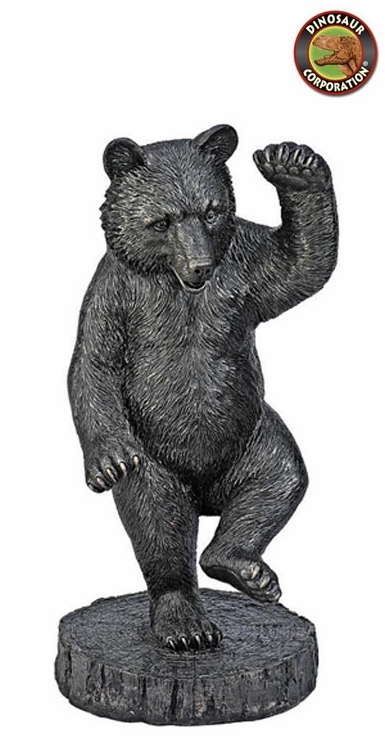 While dancing to the almost imperceptible beat of financial investors and wildlife lovers everywhere, our black bear statue makes an unparalleled focal point in den, office or garden. * Size: 15�" W x 14�" D x 31�" H.